The astrological chart is a map, a symbolic diagram of our energetic and psychological attunement. But the astrological natal chart is more than that: it is a cosmic statement, a cosmic manifesto, of the evolutionary and developmental tasks we have assigned ourselves in the lifetime we are currently living. Challenging aspects between, say, the Moon and Pluto may very well signal that one of our evolutionary tasks is to learn how to release and purge the emotional resentment originating from a difficult and complex relationship with our mother figure. We may very well challenge ourselves by partaking in outer events, situations and lessons that provide an impetus for us to experience and then release our resentment and wounded feelings. Challenging aspects between the Moon and Saturn in our astrological natal chart may indicate that part of our curriculum of evolution is to experience and transcend feelings (Moon) of inadequacy (Saturn). Similarly, aspects between the Sun and Pluto may indicate that one of our evolutionary tasks – from the perspective of our souls – is to learn how to claim our power, to learn what being (Sun) powerful (Pluto) actually is. We may, in this instance, with a significant Sun-Pluto aspect, have assigned ourselves the evolutionary task of understanding that true power is always something that we radiate from within – in true solar fashion, not something coming from without. In the physical external world, we may therefore elect to experience situations and events that allow us to demonstrate to ourselves the correct application of power. Or we may find ourselves in a disempowering external situation in order to learn how to reach for inner resources and inner power (Sun-Pluto). Part of our central aims and purposes (Sun) of the lifetime we are living may be to help others to access their own inner power (Sun-Pluto). From this perspective, we see that there is a sort of marriage between the central aims and purposes of one’s soul, and one’s time and place of birth, insofar as that time and place of birth allow us to work with specific planetary energies in order to advance our soul agenda. As souls, we choose to align ourselves with these vibratory fields (planets and signs) in a way that suits our purposes for coming into a lifetime. The time of birth is significant as it also signals the subsequent unfoldment of our human personalities through time. This subsequent unfoldment and timetable of evolution is what astrologers track when we look at transits and progressions. Part of our developmental timetable may include a significant Neptune transit to our IC and opposing our Moon on the Midheaven at age 17. We may experience this as familial losses or difficulty, such as having to care for an ailing parent at home, and having to delay our college education. This transit may have also set us up for assimilating qualities of patience, selflessness and surrender into our personality structure, which we then contribute to the world. At 24, we may experience transiting Uranus contacting our Moon, corresponding with the need to throw off the expectations and rules imposed by our early childhood environment and express ourselves more freely. Given that as we come into a physical lifetime we choose to align ourselves with the energies symbolized in our charts, we realize that a chart is not the sum total of the individual. The natal chart is something that we assume. The energetic and psychological attunement symbolized by the chart is something we put on, in much the same way that we “put on” a physical body to express ourselves in physical, third-dimensional form. A natal chart may seem to be a static thing, but as human beings, we grow, we develop and we change. Transits and progressions, as we have mentioned, are how we account for change in astrological terms. As we develop, we ideally learn to integrate facets of our personality that might be at odds, and express them in more wholesome and evolved ways. We have the same Venus-Uranus aspect all our lives, but we may go from being emotionally unavailable and afraid of close relationships, to having a healthy sense of freedom and individuality in partnerships, and an ability to live out our relationships on our own terms, rather than be held hostage to societal or cultural imperatives. We may not be able to fully express the planets in say, our 10th or 11th house, because we haven’t really reached the point in our lives where those latent talents are ready to be awakened. At 30, Saturn may pass through the 11th house, activating the planets there and also bringing that dimension of experience to our awareness. The time factor is critical – astrology is indeed the study of cycles, as experienced in time. Thus, an astrologer could never, in my opinion, really do a once and for all “natal chart reading”. The utility of a “complete” natal chart reading is also in question because if a person is always evolving and expressing configurations of their natal chart in different ways, then the insights of a “one-time” reading may not really apply later on, or may need to be reconsidered. Two people could have the same Venus-Uranus interchange in their astrological chart, yet have very different attitudes to relationships. As we just mentioned, the same person could express Venus-Uranus very differently at 49 than he did at 27. 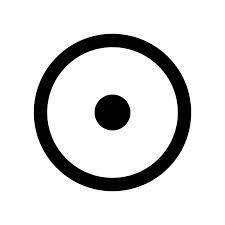 So the point is that astrological symbolism does not tell you anything about a person’s level of consciousness and awareness. In my books, the only way to really understand how the symbolism of a birth chart plays out is for the astrologer to actually have a conversation with a person, in living colour. The chart says nothing about what a person is actually doing with a particular astrological configuration. While I appreciate that some very good interpretations of a chart can be done with little input from a client (such as entering your name, date/time/place of birth, and your payment information to order a chart reading online), too often these are great renderings – from an astrological perspective, but fail to really be client-centered and authentically helpful to a client’s situation. For me, astrology is most useful not as an exhaustive list of personality traits, but when applied therapeutically in a way that speaks to what is relevant and important for a person right now. A client may want some validation of a new career path. Her astrological chart allows us to have key insight into what she is, at her core, trying to express and contribute to the world through a vocation. We can see what working environment suits her best, and what she needs from a work space. With Mars and Uranus in the 6th house, we might see that she needs to be able to implement novel and innovative systems in the workplace to improve workplace functionality, and that she needs to be in an environment that allows her the freedom to do just that. With Sun in the 11th, a Pisces Midheaven, Neptune in the 7th house and Venus in the 10th, we might be able to understand the key motivations behind her move to offer group motivational career counseling to people who may otherwise not be able to afford it, as well as intimate one-on-one career coaching. We may notice that her communicative Gemini Ascendant helps her out too. With a therapeutic approach, an astrologer may be able to understand and help validate a client’s increased need for peace and solitude as transiting Neptune squares his Moon. 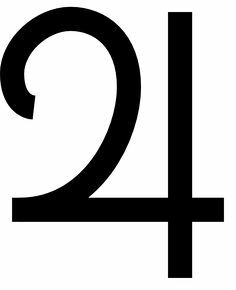 The goal would be to help the person understand the processes symbolized by Neptune, and help him to flow with and use this planetary energy. THE OUTER FOLLOWS THE INNER – NOT THE OTHER WAY ROUND! Astrological archetypes (planets and signs) function on two broad levels: as indicative of inner psychological needs and attunements, and outer external events/experience. However, the outer is always secondary to the inner. The inner is primary. 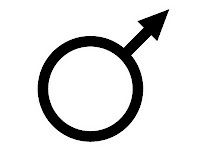 Uranus transiting the Ascendant may represent an urge to “individuate.” A person undergoing this transit may experience a need for more personal freedom and freedom of expression, and may want to express himself in unique ways – differently from how he did in the past. Rather than looking from the outside in and assuming that someone went through a radical change (Uranus) to their appearance (Ascendant) – like colouring their hair neon pink or something – we can instead see that the increased or heightened inner need for freedom of expression may result in a change of their outward appearance. What we are sure about is the inner need to differentiate himself, his inner need to express and experience more freedom. We’re not sure precisely how it may manifest. The outer follows the inner. Furthermore – in making any assessment or possible “guess” about how a person might live out this transit, we would need to consider the natal chart as a whole. My mother, with a Capricorn Sun in the second (Taurus-ruled) house, as well as a Taurus Moon in the 6th house – another earth house, experienced this transit as a young woman in very mild ways. There was no pink hair, but an enjoyment of newfound freedom and independence – which was still expressed within the more or less safe parameters dictated by her Sun and Moon. Astrologers who take inner experience as their starting point will approach predictions a little differently. We will make predictions – but of a different kind. Instead of predicting external events, we will “predict” the developments and concerns that take place in a client’s inner world, which may manifest outwardly in any number of ways. We would need to speak to the client to figure out, in the context of their life, how particular energies would most likely be played out. The astrological natal chart is a symbolic rendering of our soul agenda and sets out the curriculum of our development over time. Because we develop with time, our birth charts need to be seen as symbolic of a fluid process of growth – with transits and progressions as the astrological language of change. Personal growth and development over time mean that a “complete” birth chart reading isn’t truly a feasible or genuinely helpful endeavor. 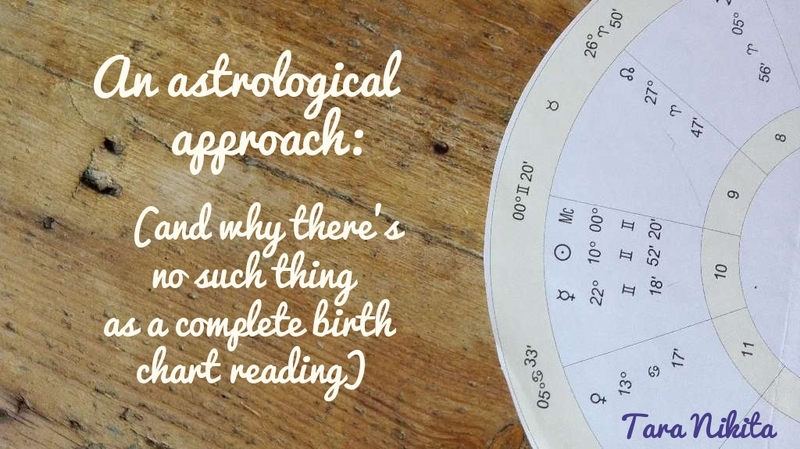 A therapeutic approach to astrology is client-centered and incredibly pragmatic. It focuses first and foremost on a person’s inner world and inner processes as a basis to make sense of external events and situations. In therapeutic astrology, we apply the birth chart to what is important to a client right now, and we help him or her to understand and work with the evolutionary demands of certain periods.